Everything That’s Happened on This Is Us, in Chronological OrderA handy timeline to your favorite twisty family drama. This Is Us Recap: Alive But Not WellThis Is Us remembers what it’s great at, bringing the Big Three back together to continue Jack and Nicky’s story. This Is Us Mid-Season Premiere Recap: Too Close to CallPrepare yourselves for more political storylines, friends! Are Randall and Beth Getting Divorced on This Is Us?The end of Randall and Beth’s marriage would be a tragedy, but This Is Us has dropped plenty of clues about their future. 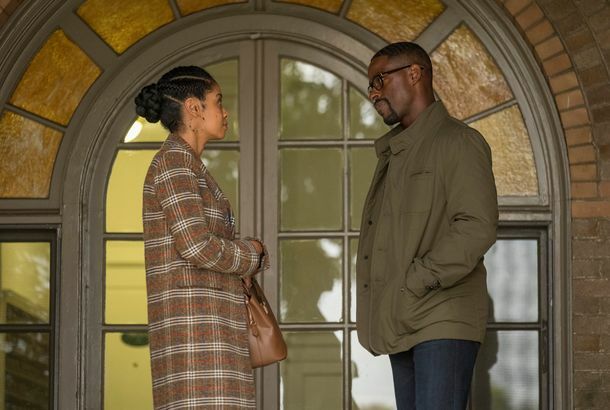 This Is Us Recap: Aches and PainsA heartbreaking, at-times mystifying episode throws down multiple mysteries to agonize over during hiatus. Would Randall Actually Win His Election on This Is Us?We asked Philly’s political experts. This Is Us Recap: A Thanksgiving Dad Is a Hot DadThis year, I’m most grateful for BFF Miguel. This Is Us Recap: Road TrippingA series of field trips takes us on a tour of emotionally devastating moments past and present. This Is Us Recap: Here’s to You, Mr. RobinsonKevin continues to search for details of his father’s past in an episode overstuffed with subplots. This Is Us Recap: Pieces of JackKate continues to search for a solution to her fertility issues while Randall makes a big decision. This Is Us Recap: Acceptance LettersThe series gives us a look at the Pearsons’ post-Jack life in the late-’90s and it’s not pleasant. Which This Is Us–esque Show Has the Most Potential?God Friended Me or A Million Little Things? This Is Us Season Premiere Recap: Swear on OprahThe series returns with a story of the early days of Jack and Rebecca’s relationship and a cryptic look at the future.